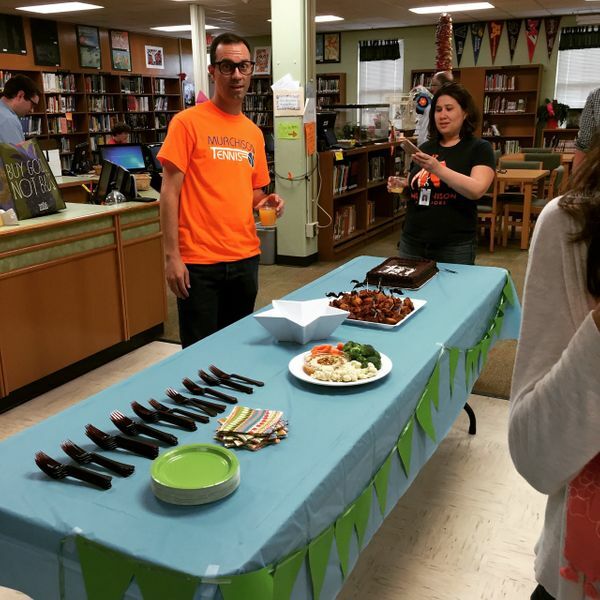 Day 138: Baby shower for Mr. Reed! Mr. Reed is having his first child in the next few weeks. When we're not getting confused as each other, Coach Reed can be found all across campus as an inclusion teacher and also as the tennis coach (and football coach earlier in the year).